1) What is the biggest misconception about oral health? Answer: We transfer oral disease – and no amount of flossing, fluoride nor dental visits can stop this! Most people are unaware that cavity-bacteria transfer from person to person through kissing and sharing food. Conscientious patients try to control cavities by flossing, using fluoride and attending their dental appointments. None of these efforts can eradicate this bacterial infection. Only the regular use of small amounts of xylitol can eradicate cavity-producing strep mutans. It requires 6 months using 5 or more grams of xylitol each day to eliminate the infection from your mouth Furthermore, this will happen even without flossing, fluoride or dental visits! 2) Besides brushing and flossing, what should we do to take care of our teeth? Answer: We need to form a healthy biofilm that can protect our teeth and gum! 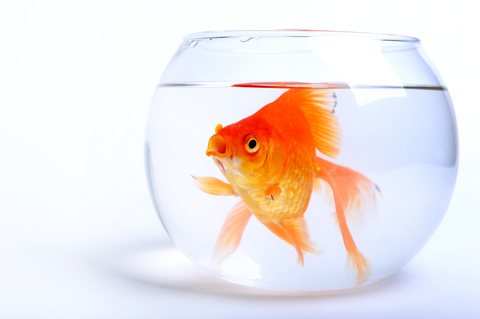 Your mouth is like a fish bowl! You know that if you keep the water in the bowl clean – stones in that water will stay clean. 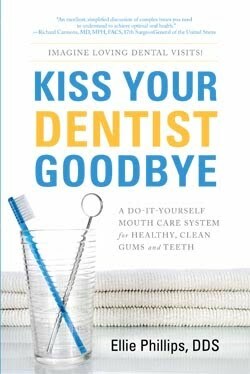 Keep your saliva clean and healthy – and your teeth will stay strong and beautiful! Prevention of cavities and gum disease is not about scrubbing teeth but it is about healthy saliva in the mouth and healthy biofilm on teeth. Healthy biofilm protects teeth from infection (cavities) sensitivity, wear and discoloration. Healthy biofilm is damaged by long periods of acidity, citrus fruits, mouth dryness, peroxide and bleaching products, even rinses or toothpastes that contain baking soda (bicarbonate of soda), bleaching products or the chemical triclosan. When healthy biofilm is damaged – teeth deteriorate (and can then be damaged by brushing and flossing). The presence of healthy biofilm is influenced by general health and is encouraged by a mineral-rich diet, good lifestyle choices, Probiotics, the use of oxygenating and dilute fluoride rinses, regular consumption of pure xylitol and avoiding the products and situations that damage it. 3) Is there a connection between oral health and other health conditions? Answer: Families share mouth infection and there is a strong link between mouth and body health. Families often believe they “inherited” poor heart, or lung health. We need to teach that when we kiss or share food, mouth germs transfer from one person to another, and these germs can be life threatening. “Not kissing” will NOT stop the problem. A preventive approach is to develop a healthy mouth with a healthy biofilm – this is the key to family health! We know that infected plaque is linked to ear infections in young children, and that xylitol can reduce plaque and reduce ear infections by 48%. People who consume xylitol eliminate 98% of plaque in 6 months and often notice gastric problems and acid reflux improves as well. Mothers with poor oral health pass germs to their baby. A child can infect another child. Studies show that spouses with gum disease infect their partner. Grandparents with pathogens can pass these to the next generation, spreading oral problems that transfer to other parts of the body. Studies show cavity bacteria transport to heart muscle, and that periodontal bacteria can lodge in the umbilical cord of unborn babies. P.Gingivalis is a strain linked to arthritis. Cardiologists and surgeons are aware that inflammation in the gums can precipitate an inflammatory reaction sufficient to cause an acute heart attack, destabilized blood glucose levels, increase risk for stroke, pre-term birth, lower fertility, and slower healing after surgery. Oral DNA testing helps identify periodontal pathogens in the mouth and salivary testing can identify strep.mutans infection levels. The correct use of xylitol, oxidizing, antiseptic and fluoride mouth rinses can eliminate oral disease and promote improved general health.